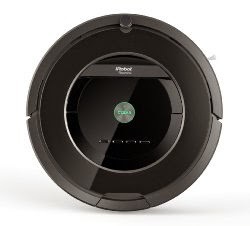 Gifts Consultant: Should you buy a Robotic Vacuum? Should you buy a Robotic Vacuum? Who should buy a robotic vacuum? Whom should you gift one? Robotic vacuums, vacuum clean the floor and carpets without requiring any physical effort from you - apart from switching 'On' the robot, keeping the floor uncluttered, and regularly cleaning the bin and filters of the vacuum. Leaving you with more time on your hands, and less physical or mental stress. Here's a list of 6 groups of people who will appreciate the most a robotic vacuum; will benefit the maximum from having a robot vacuum at home; and will live a much better, stress-free, healthy life than if they didnt have a robotic vacuum. 1. People with allergies - Robotic vacuums remove dirt, dust, and debris from the carpets and floor. Advanced models feature dual air filters which filter fine dust and allergens from the air. Leaving you with cleaner living space and cleaner air. 2. Pet Owners - Advanced robotic vacuums feature in-built specialised brushes and advanced cleaning heads specifically for picking up tough pet hair from rugs, carpets and floors. The air filters in these models filter out the pet hairs floating in air. Cleaning the floors, carpets, living area more hygienically than before, for babies, kids, and grown-ups. 3. Elderly people, parents, grandparents - Robotic vacuums clean carpets and hardwood, tile, vinyl, and linoleum floors. They do a thorough job of cleaning, leaving no space untouched. By automating the task of vacuum cleaning, robotic vacuums bring a lot of comfort and convenience. They take the stress out of vacuuming, this translates to regular vacuuming, cleaner homes. 4. People who can't physically exert - Robotic vacuums take away the physical stress from an otherwise physically cumbersome task of vacuuming carpets and floors. And they clean hard to reach places like under the sofa - chairs - and tables. A boon for people who are physically challenged, can't move about freely, have arthritis or osteoporosis, or have been advised by the doctors to avoid physical exertion. 5. Working women & couples, single parents - Robotic vacuums feature onboard scheduling to perform up to seven cleaning sessions per week, even when you’re not home. So you can schedule your vacuum to clean when you are in office - leave for work with the vacuum 'On', and return home to vacuum cleaned floors and carpets, everyday. 6. Housewives, single people, bachelors - Robotic vacuums give you a breather from one of the daily chores. Leaving you with more free time for yourself, to pursue activities you like. Which robotic vacuums are good? The best value for money? I've put together a handpicked list of the best 8 robotic vacuums with their reviews, comparisons & features, to help you select the best one for your home or shop. Robotic Vacuums make a great gift on birthday, anniversary, christmas, baby shower, bridal shower, fathers day, mothers day, or any regular day. Its one of the most useful, hassle-free, cutting-edge appliance to gift to your mom, dad, grand dad, grandma, wife, partner, brother, sister, son, daughter, friends... the special men and women in your life.